COURSE DESCRIPTION: This class focuses exclusively on borrowed form (or hermit crab) essays. Participants will engage in a close reading of examples of borrowed form essays and respond to discussion questions. They will also choose one borrowed form to use to write their own essay. They can choose to write a new essay using the form, or rewrite an essay that’s already complete using the form to see how that affects the work. During week one, we will read Jill Talbot’s essay, “The Professor of Longing,” as essay in the shape of a course syllabus. Students will respond to discussion questions in the discussion forum and reflect on the opportunities in using this structure to convey personal experience. Using the syllabus as a model, students will draft some writing (a paragraph or so) using this form, and post in the discussion forum. During Week 2, we will read “The Pain Scale,” by Eula Biss, and respond to discussion questions in the discussion forum. For this week’s writing experiment, students will select a scale of measurement of any type, and, using the same experience they wrote about in week one, draft some writing using the scale of measurement you chose, and post in the discussion forum. Students will compare the writing in week two to week one, and reflect on how their writing changed across the two forms. In week three, students will read Chelsey Clammer’s essay, “On Three,” written as a bulleted list. Students will respond to discussion questions in the discussion forum and experiment with the text they generated in week one and week two, reshaping it into a list format, and post in the discussion forum. Additionally, students will survey a variety of potential forms and choose one to write a complete essay (1000 words max). Consider: menus, tests, maps, surveys. Feel free to experiment with any form you think will lend itself to the story you want to tell. In week four, students will submit, read, and evaluate one another’s essays in an online workshop format. This class will help readers hone their skills in critical reading and evaluation of texts, as well as help develop their skills in providing helpful, supportive feedback. Comments received during this week should help the author significantly revise her work, allowing her to more fully realize its potential. Materials needed: The instructor will provide all reading materials, lessons and handouts. How the class will be conducted: Students will be given access to password protected web pages on which class materials and discussions will be posted. Students will need access to a computer with an internet connection to download readings and participate in asynchronous group discussions. Students will have access to the class group two days before class begins, and for one week after the class concludes. 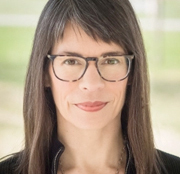 ABOUT THE INSTRUCTOR: Naomi Kimbell earned her MFA in creative writing from the University of Montana, and her work has appeared in The Rumpus, The Nervous Breakdown, Crazyhorse, Black Warrior Review, Calyx, The Sonder Review, and other literary journals and anthologies. When she’s not writing, she teaches online creative writing classes for WOW! Women on Writing and sometimes wanders in the woods, across hillsides, through ghost towns, taking photographs and shooting video to create impressionistic films with ambient scores using her essays, invented landscapes, and found sounds. COST: $125, which includes weekly assignments, individual feedback from the instructor, and access to a private group for student interactions. BUY NOW: SHAPE-SHIFTING THE ESSAY: Learn to Write Using Borrowed Form with Naomi Kimbell (4 weeks, starting 6/3/2019) Limit: 10 students. Early registration is recommended.